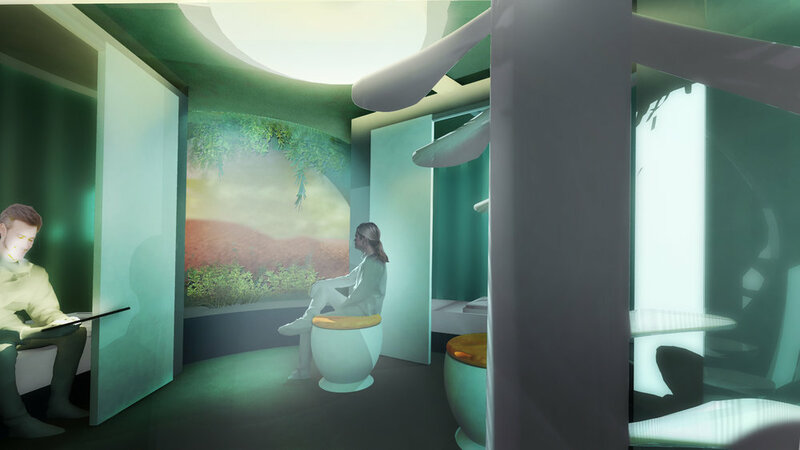 X-House is the fourth prize winner of Virtual Design Level 1, 60% Design, within NASA’s Phase 3 Habitat Challenge. 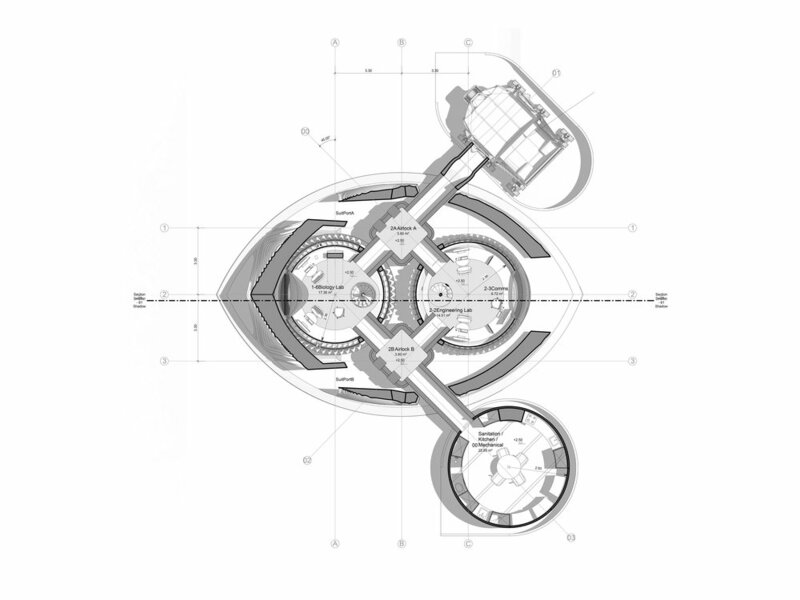 Prioritizing safety, redundancy, and the wellbeing of the crew above the Martian surface, Mars X-House seeks to exceed current radiation standards while safely connecting the crew to natural light and views to the Martian landscape. Partnering with Apis Cor, X-House presents a pioneering habitat scaled to fit within the 4.5m x 4.5m footprint of the Level 3 Head-to-Head event of the Phase 3 competition at 1/3 scale. By vitally connecting the human residents with views to the Martian landscape, the habitat synthesizes key design factors fundamental to future Martian habitation: program and construction efficiency, light, and radiation protection—creating a highly functional and protective habitat for its occupants.